Purify Your Body Detox Foot Pads: Zeolite -- Advanced TRS vs ZeoPure -- What is the best type of Zeolite? Since I carry ZeoPure zeolite, and have had it for years available to my customers, and have been using it myself for about 6+ years on and off, I have been bombarded with questions regarding TRS Zeolite spray. It is an MLM, so right off the bat I know it is overpriced. But people can pay what they want, I don't have any issues with that. If they want to support their friends or family members that is great. My issue is with the product itself. No one seems to be able to give me a straight answer with the cost of it, but I did find out that you can buy 3 bottles for $170, or you can even buy a single bottle on Amazon for $87.99 at the time I am posting this (see link here: click here). I went straight to the manufacturerof ZeoPure to ask them about this Advanced TRS and liquid zeolite, and they gave me this response. I still continue on with my knowledge that ZeoPure is the best on the market. It is absolutely impossible to liquefy zeolite. Clinoptilolite-zeolite is not water soluble, and cannot be liquefied without having its structure and detoxing abilities destroyed. Any "liquid zeolite" has minuscule amounts of zeolite powder in it, and is not very effective for detoxing. Plus, the process to "liquefy zeolite" is owned by a pharmaceutical company that has not licensed the process to anyone because it could create a potentially dangerous substance by releasing all the elements that are bound in the zeolite and not naturally bio-available. “Liquid” zeolite companies are notorious for using the marketing ploy of “it absorbs faster” and promoting their product as if it has special capabilities. Further, there is also no such thing as nano zeolite, advanced zeolite, or activated zeolite. These are all made up marketing devices used to make their zeolite look superior over the competition’s. Waiora, who originally developed the idea of “liquid zeolite,” and all the marketing non-sense, was actually sued by their customers and distributors over this—essentially for lying about how much zeolite is actually in the product because it was pretty much water. In addition, there has never been any studies to show that zeolite can cross the blood-brain barrier. Again, all clinoptilolite-zeolite supplements are not liquefied or made nanosize, so if one zeolite can cross the blood-brain barrier, then they all can. If one cannot, then they all cannot. The only evidence that has ever suggested that it could cross the blood-brain barrier is a study that was done on dogs with cancer. Some of these dogs had tumors in their brains, and by the end of the study, the tumors had shrunk. This suggests that zeolite might cross the blood brain barrier, but like I said, it is really unknown. Moreover, people are very concerned with micronsize because they want the zeolite to enter the blood stream. Thus, they turn to “liquid” zeolite believing that it is actually liquefied and will definitely enter the bloodstream. The exact micronsize of when it enters the blood stream is unknown because there have never been any studies done on this pertaining specifically to zeolite. People have put out on the Internet that you need a micron size of 3, or 4, or 5, or 6, or 8, etc. for it to enter the blood stream. These guesses are all based on pharmaceutical studies of various medications (not zeolite) on when the medication enters the blood stream. Our zeolite is 0-40 micron, with a majority of 6 microns of below. This allows for a full body detox, allowing some zeolite to stay in the gut, and some to enter the blood stream (at whatever specific micron size that might be). We have been getting a lot of question about this Advanced TRS product in the last 3 weeks, and it is probably because they are doing a lot of heavy marketing. Below, is the response I have been sending to people who want to know the differences between our product and TRS. I hope this info helps. Take care. “For many years, well established zeolite companies have been/were harassed by the FDA, and the states of California and Tennessee in an effort to destroy the zeolite industry. This was a huge drain on the companies’ profits, causing all the major makers of zeolite to disappear, except ZEO Health/Regal Supplements. As a result, a number of other companies, such as TRS, have come to the market to try to pick up some of the business. Many of these companies use lingo to try to make their product looks like it has special capabilities, such as “advanced,” “activated,” and “nano.” These are all marketing ploys and there are no such processes to change the structure of zeolite or strengthen its detoxing capabilities. Further, I can see that this product is in a spray bottle. Just this alone indicates that there is a minute amount of zeolite in the product, which would not be significant enough to detox. Zeolite cannot dissolve; thus, there is no such thing as liquid zeolite. Any liquid product is just zeolite powder in a liquid solution. Zeolite is very muddy and will eventually settle to the bottom of the container. If there was a significant amount of zeolite in this product, it would clog the sprayer. If you look at the ingredients, it says “1.0ml.” This is not pertaining to the zeolite alone, rather this is the volume of the bottle, meaning that it is mostly water. Zeolite is a powder and must be measured in grams and not liters. They are misrepresenting what is in the bottle and Waiora, another company that makes ‘liquid’ zeolite, was sued for this exact reason. We are the original makers of zeolite supplements. As the original company, we are the ones who have set the standards and developed methods for micronization and cleaning zeolite. Other companies do not invest in these steps because they are expensive processes. Without processing, the zeolite can be filled with containments, mold, and bacteria. We continue to test our zeolite at all stages of manufacturing to prove cleanliness and purity. (This is one of the biggest reasons of how we survived all the government harassment.) Further, we have the purest zeolite on the market. (This is another reason why we survived the harassment.) We continually test mines all over the world for purity. So far, we have not found a source purer than the one we are using. Other companies get their zeolite from the local mine because it’s cheaper, and in effect they offer low quality zeolite that is filled with dirt and toxins. 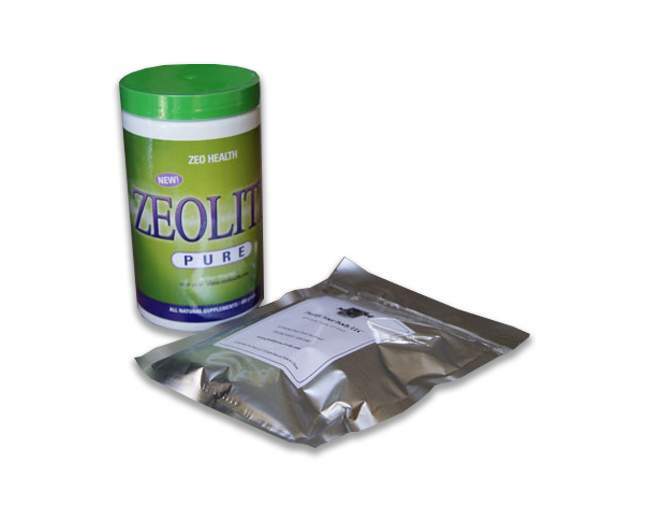 Check out zeolite dosing information here.